Plastic furniture is more than just stackable chairs. Contract plastic furniture can be used in the bedroom, kitchen, and any other living area that requires durable, quality furniture options. Here are five reasons why you should consider ordering plastic furniture. 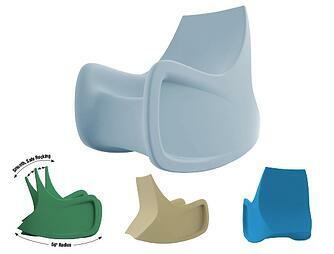 Our molded plastic furniturei s in one-piece design for increased strength. Our plastic is made with impact-resistant molds so that your furniture can withstand plenty of hard use over time. 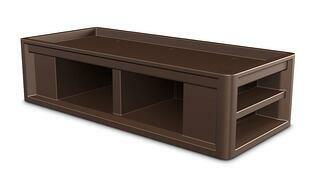 It’s so strong that Furniture Concepts even provides 10-year warranties with our molded plastic lines. Some environments require strict security measures. Our plastic furniture offers bolt-down options so that you can lock down your beds, desks, and other pieces of furniture. Whether you’re worried about someone throwing objects or taking them away, bolted plastic furniture can put your mind at ease and keep everything safe. Many plastic furniture items can also be weighed down with 50 to 100 lbs. of sand for additional security. Plastic furniture won’t absorb various fluids, making cleanup very easy. Some plastic furniture is also a great option for outdoor furniture. Unlike other materials, plastic treated for outdoor use with UV coatings won’t rust or warp if it gets left out in the rain. You don’t have to worry about moving plastic furniture around your facility. Plastic is lighter than other materials, making it much easier to move furniture around to different rooms or change up a floor plan. You don’t have to feel limited by your color options when you go with plastic. Molded plastic furniture can be made in a variety of bold, fun colors to enhance the experience for your patients, campers, or anyone else at your organization. It can also be designed in natural colors for environments looking for a more neutral look. Whether you’re ordering furniture for security or style, molded plastic furniture can be the right choice for your organization. Create your own furniture Wish List to get a proposal started for your organization and we’ll provide you with pricing information for your order. If you have any other questions about our contract furniture, contact us today to find out more.